Value Sports Bag - Express Corporate - Promotional Products - Delivered Fast! 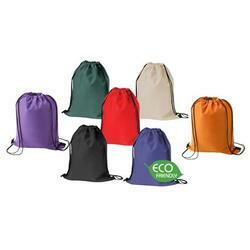 They are made from eco friendly biodegradable material - So are the perfect option for the environmentally conscious! Fantastic range of 7 colours to choose from - Find the perfect colour, or combination of colours to compliment your logo & corporate image! Water resistant material - Makes them ideal for children's swimming kits, or outdoor activities! Prices start at just 94p - Great value for your money! Available on our 5 day express service at no extra charge - The perfect solution for your last minute events!